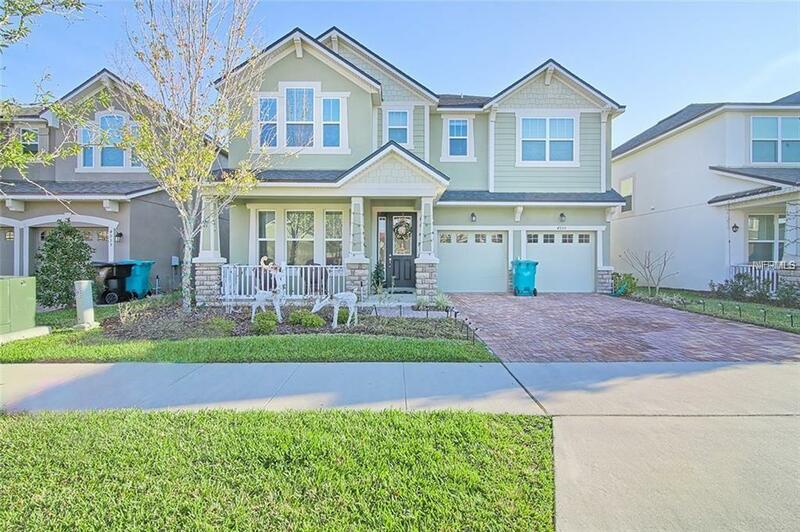 Beautiful "like new" 2015 home in the Millenia Park neighborhood of Orlando. This turn key home features 4 bedrooms, 2.5 bathrooms, flowing modern floorplan, beautifully updated eat-in kitchen with slab granite countertops, island, and a full suite of stainless steel appliances, spacious living/family room with high ceilings and water views, large master retreat with walk-in closet and private 5 piece bath, formal dining room with tray ceilings, main floor den, and bonus loft space on the upper level. The backyard features a covered patio and overlooks a neighborhood pond. A+ location in a quiet, newly constructed neighborhood with easy access to I-4 and the turnpike for commuters. Minutes from shopping and dining at Millenia. If you're in the market for a stunning turn key home in a great location this is the house for you!